Cuisine! The Smithville Inn is one of South Jersey's premiere Restaurants. 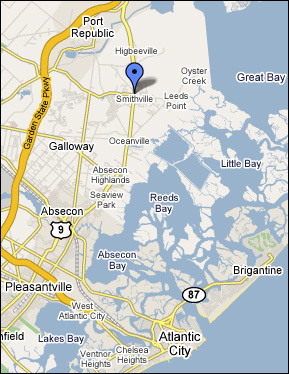 Minutes away from Atlantic City, in the Historic Towne of Smithville. Serving sophisticated comfort food in a warm environment. A tradition of hospitality that has been carried on since 1787. Banquets! The Smithville Inn offers many different options For private parties and banquets. We have private rooms that seat From 10 to 200 guests. Prairie Fire Prairie Fire, named Best of Galloway 2009 by the United States Commerce Association (USCA), is your source for designer handbags with Miche, the handbag that changes with a simple slip on cover..small,medium and large, Madd Bags for that evening out; jewelry with: Tarina Tarantino as worn by the stars, , What's In Your Heart jewelry, Jersey Girl Jewelry and Shirts.. for the jersey girl in all of us... natural...Leakey collection & Dogeared too, luxurious body products with: Archipelago Botanicals/Soy Milk, now Lavender, Get Fresh, Mangiacotti, Cali, soaps from Italy...soaps, lotions and shampoos.... Don't forget personalized gifts with: Heartstrings and Initial Reaction. Just arrived... as seen on "SHARK TANK.....ONESOLE" Interchangeable shoes and snap on tops.. so many styles.. from 1" to 5".. kitten heels to wedges.. or a classic heel.. Prairie Fire has bags and shoes to match..
And for you guys and gals too...OAKLEY, RAYBAN (in store only)sunglasses, hats, shirts....,and don't forget Lindsey Phillips/Switchflops,the flip flop that has the strap that changes, ballet shoes with snaps that change.. so many shoes.. so little time. Prairie Fire has it.. come on it and see how you can have t too.. Don't forget to make space in your closet... Room It Up for the closet or for the beach...and so much more! Check back often for updates.....sales of the month .. sign up for discounts and see what's hot! We have everything you need to pamper yourself and everyone you know. NOW FOR MEN, WOMEN & CHILDREN!. Located in Smithville, New Jersey, you can call us toll free at 877.748.1555 or come see us on your way to Atlantic City! 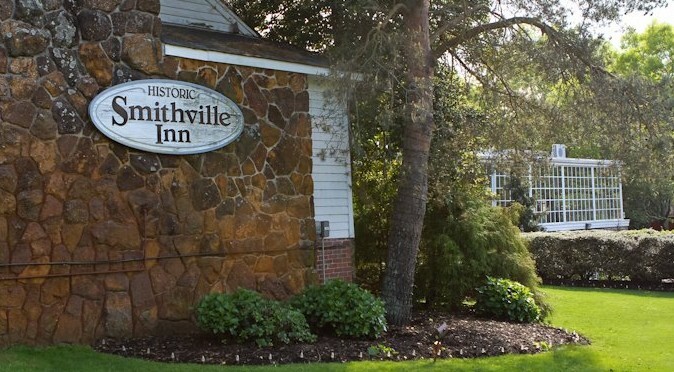 The original Smithville Inn was built in 1787 by James Baremore. It was just one room on a well-traveled stagecoach route and may not have actually been planned for an inn. But houses were far between those days, and word of the Baremore's hospitality spread until in keeping became their living. His family continued to operate the Inn Through the years and by 1874, it had grown to six times its original size, and its frame seemed permenantly established. Yet sometime after the turn of the century, it was abandoned. In 1949, the Inn was rediscovered. its long and colorful past was carefully studied, and in 1952 a local couple purchased the Inn and seven acres of property, restoring the structure and opening it in 1952 as a 42-seat restaurant. So successful was the Inn's reopening that the initial plans were enlarged and building from southern New Jersey's past were brought to the Town of Historic Smithville - each restored and refurbished with loving attention to detail, and reopened to the public. The Historic Smithville Inn has been designated as a Historic Site by the U.S. Government. Today the tradition continues. The Smithville Inn offers award winning Midday and Evening Bills of Fare as well as its famous Sunday Brunch. The Smithville Inn also offers Holiday, Special Event, and Wedding and Banquet Menus. Reservations suggested. Please call 609-652-7777 for more information. Take the Garden State Parkway South to Exit 48. Proceed South on US Route 9 to Moss Mill Rd. (Alt. Rt. 561) and turn right. Take Garden State Parkway North to the Food and Fuel plaza just north of milepost 40. Drive to the north end of the plaza and find the exit onto Jimmie Leeds Rd. (Rt. 561). At the traffic light turn right and proceed to US Rt. 9. Turn left onto Rt. 9 and proceed North to Moss Mill Rd. (Alt. Rt.561) and turn left. Take AC Expressway to Exit 12. At the end of the off ramp, make a left onto Pomona Rd. Proceed through 2 traffic lights, crossing US Rt. 30, to the red blinking light at Jimmie Leeds Rd. (Rt. 561). Turn right right and proceed to US Rt. 9. Turn left onto Rt. 9 and proceed North to Moss Mill Rd. (Alt. Rt. 561) and turn left. Follow US Route 30 east of Egg Harbor City to Pomona Rd. (Kennedy's Tavern on left, Coastal Gas Station on right, Church on far right). Turn left and proceed to the red blinking light at Jimmie Leeds Rd. (Rt. 561). Turn right and proceed to US Rt. 9.